April 27, 2011: HOUSE MANAGERS AND ESTATE MANAGERS work jobs hired from ISAstaffing to work in Job Orders located in Brentwood, Beverly Hills, Pacific Palisades, Malibu, Hollywood Hills, Bel Air, West Los Angeles and Greater Los Angeles Area, to Orange County, Santa Barbara and Ojai, must have excellent qualifications. Some jobs involve locations domestically and overseas combined. Jobs Hiring we have just placed required an Experienced House Manager or Estate Manager with Top References Working Managing Several Luxury Homes, Working For Celebrity Household, Must Be Computer Savvy, Manage A Large Staff, Must Travel As Necessary, Knowledge Of Private Jet Travel, Must Be Extremely Flexible With Work Schedule, and Able to Work With Clients Preferences On Short Notice, Highly Organized with Positive Energy. EXCELLENT SALARY AND BENEFITS, IMMEDIATE HIRING, was the best part of this Job Description. The person hired gets to work in one of the BEST JOBS in the Domestic Help Staffing fields known as one of the finest homes maintained in top sterling silver domestic help services. Our clients rave about results ISAstaffing domestic help provides. Inquire about our current job availability if you qualify for registering with our office as described in our website (see our job descriptions). For the wealthy (which comprise the ever increasing billionaires category), the luxury housing market still holds at the high-end such as found overseas in London, because they’re still scarcely available. 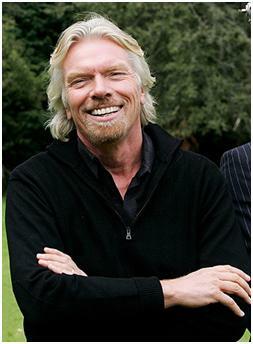 One of my favorite and most conscious billionaires who seems to love giving to our planet (ongoingly and so brilliantly), is Sir Richard Branson. 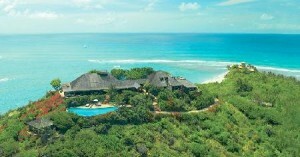 Islands owned, are also hot properties as there aren’t many that are habitable on a luxurious and sustainable basis. Luxury properties remain very attractive to overseas buyers, with the most unique bought quickly as they infrequently come onto the market. These properties need top qualified staff to run and maintain. Some of our clients own homes in London, New York, and Los Angeles as multiple estates, needing oversight by highly expert House Managers or Estate Managers with work experience and top qualifications to run such prime locations. The salary is open, commensurate with the person’s background. Often, fourth and fifth vacation homes located in exotic places the Manager must also oversee. These are top paying jobs for the best of the best, and we place them. Please visit our website to learn more about our services, and send our Our Best Advice to others for their enjoyment too, or contact our office in Beverly Hills for further assistance you may need. Domestic help staffing is our renowned expertise. Our Best Advice has been brought to you by www.ISAstaffing.com. Visit often for other great ideas, and browse our Domestic Staffing Services to see Job Descriptions we provide for our clients.